"I'm always trying to find ways to not waste the scraps of fabric from my sewing projects. One of the easiest things to do is to make a small purse or bag for a little girl. 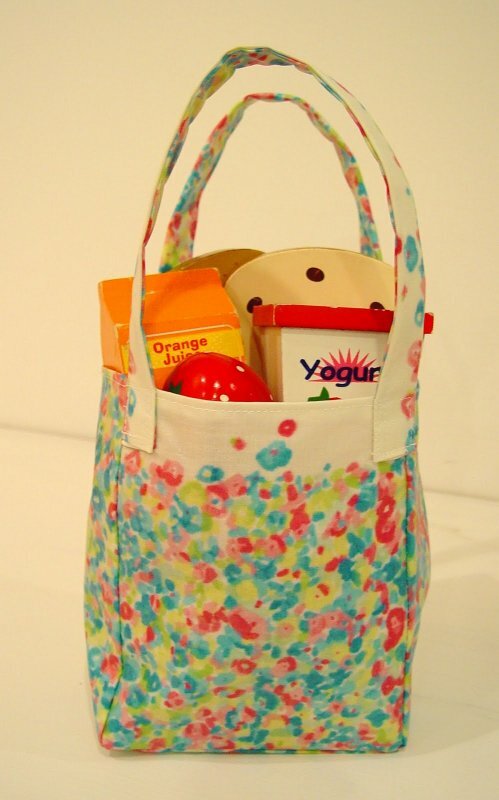 Here's a little tutorial for an oilcloth mini shopping bag for your favorite little one. (Note: Since I used oilcloth, I did not design the bag to have a lining. If you did make it with other types of fabric, I would suggest lining it to get a nice, clean look.) I used the scraps from this project. (This bag is sewn completely differently from the large one.) 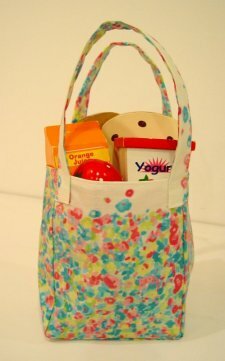 I think my daughter will love going to the farmers market with our matching bags." Be sure to check out Vanessa's website, her tutorials are original and excellent!